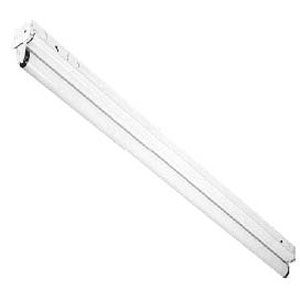 This unit is available in 24”, 36”, 48”, 72” and 96” lengths in 1 or 2 lamp configurations, T5, T5HO, and T8. Combination snap-in end plates double as couplers, eliminating the need for extra hardware in continuous row applications. Snap-on cover makes installation quick and easy. Suitable for low density ceiling applications. Symmetric, asymmetric, and light shield reflectors available. 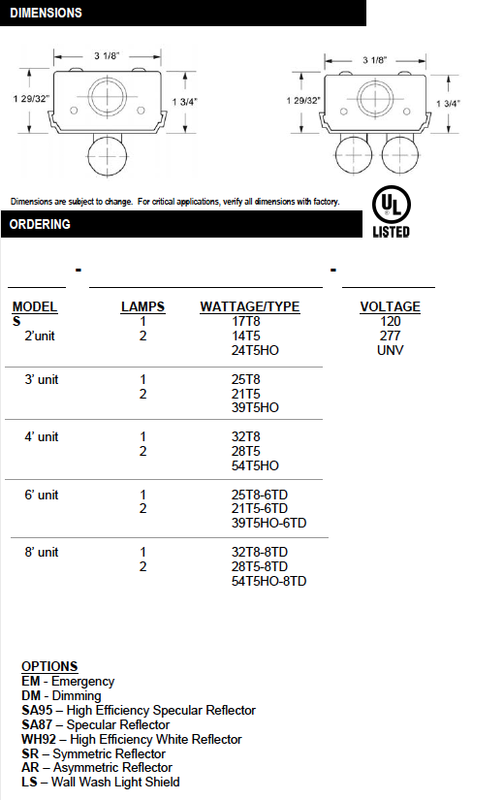 For surface or pendant mounting, individual or continuous row mounting. Available with specular aluminum reflector (87% reflectance), high efficiency white reflector (92% reflectance), or high efficiency specular aluminum reflector (95% reflectance). Die-formed heavy gauge steel housing with ample knockouts, for ease of installation.